Often referred to as “Stewart Industries” or just “Stewart” in the past, Stewart Assembly & Machining is a family-owned business with origins dating back to 1818 in the form of a business in Cincinnati called Samuel Cummings & Sons. The company manufactured equipment for a majority of the original distilleries in Kentucky, the first fire engine west of the Allegheny mountains, and the first fire hydrants used in Cincinnati. Decades later, Samuel Cummings & Sons became the Bourbon Copper and Brass Company and was a national producer of fire hydrants into the 1980s. 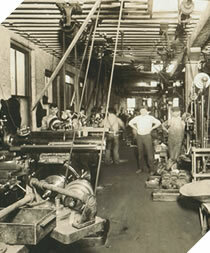 Stewart’s success with manufacturing custom-designed industrial machinery dates back to 1911. 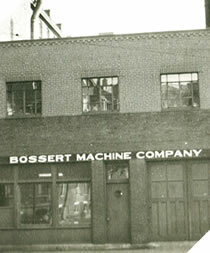 At that time, the Bossert Machine Company started building special machinery for a variety of industries. Bossert was located on Cincinnati’s downtown riverfront. As early as 1917, another forerunner of Stewart, the Concrete Surfacing Machinery Company, originated a product line of grinding machines to blend joints primarily on highways and building slabs. The Concrete Surfacing Machinery Company was located on Spring Grove Avenue, a major thoroughfare in the city of Cincinnati. When Cincinnati relocated its baseball stadium to the downtown riverfront in the late 1960s, Stewart Industries moved to the City of Deer Park within greater Cincinnati. In the process of moving, Stewart Industries acquired Bourbon Copper & Brass, which was also located on Cincinnati’s downtown riverfront and could not afford to relocate. Stewart’s precision machining heritage dates back to 1932 when the R&C Tool Company was incorporated in Withamsville, Ohio. R&C became a tooling maker for the aerospace industry. Several years after moving to Deer Park, Stewart Industries acquired R&C Tool.